Product information "POPP HUB Powered"
It looks like the POPP HUB Smart Home Gateway, but it is not the same. Now you get the reliable gateway with one more feature thanks to its new backup battery! In case of a blackout you can operate your POPP HUB Powered approx. one hour by using the backup battery. So you never lose the connectivity to your Smart Home. 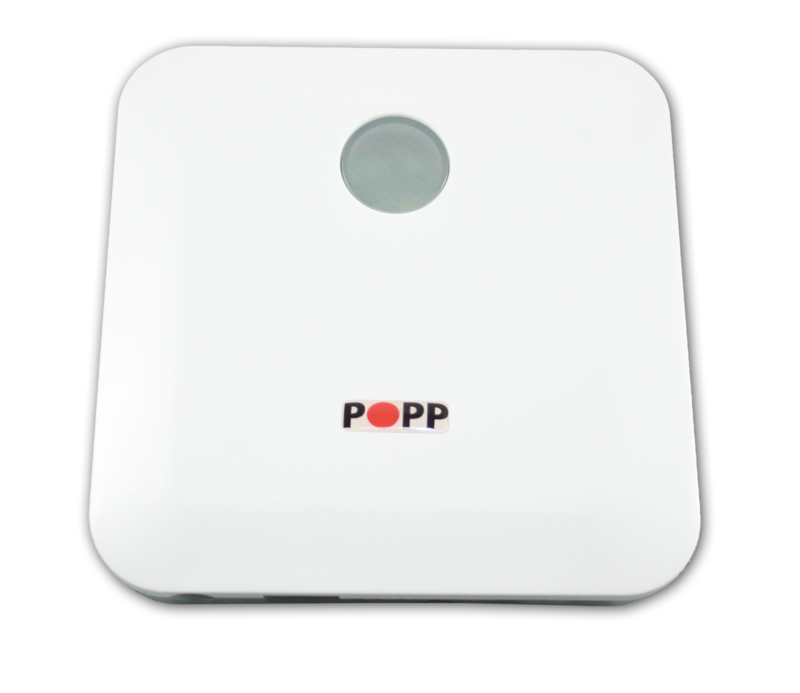 The POPP HUB Powered is a slim and compact IP Smart Home gateway, equipped with Z-Wave wireless technology and backup battery. Therewith you can control your whole home automation network via remote switches, smartphone, desktop and tablet pc. Inside one network the POPP HUB Powered controls up to 230 Z-Wave components manufacturer-independently and allows management of direct connections (associations) between the devices. These associations can be used also without a central gateway. Beside already installed WiFi and Z-Wave technologies the HUB can integrate further technologies such as EnOcean via internal and external USB ports. The POPP HUB Powered enables you to control your home centralized and flexible – and without any wiring effort. The POPP HUB Powered is focused on easy operation and reliable security architecture. Therewith it is one of the most secure Smart Home gateways generally. Thanks to the integrated device database and step-by-step instructions any new Smart Home device can be connected quick and easy. 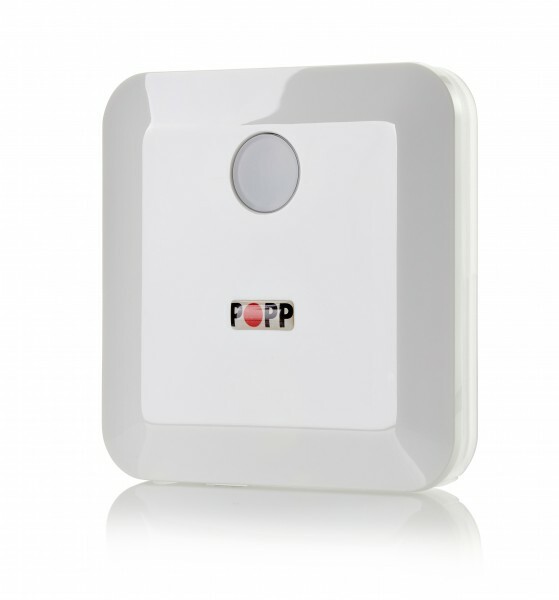 The POPP HUB’s big advantage is its capability to integrate all certified Z-Wave devices with all of theirs functions. Other gateways block some device functions by itself. Related links to "POPP HUB Powered"